Hi guys, Look what I've got! This fabulous necklace I got like two weeks ago when I took a look the NSMBL Blogger Sale in Bar Italia. I ran into this girl Esther who offered a small selection of the coolest, handmade, jewelry. 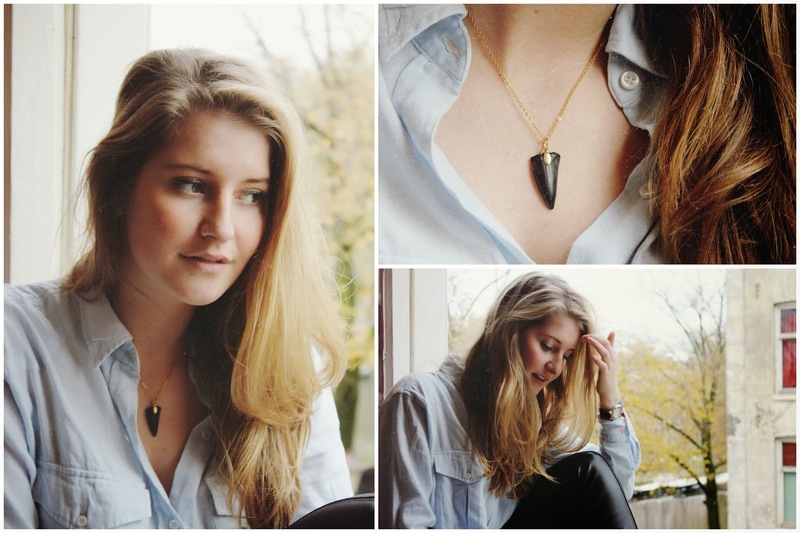 I fell immediately in love with this shark tooth gold plated necklace. She told me she just started of with her brand, Knick-Knack. She made it all her self and made the jewelry out of natural materials like coral. Check out her Facebook page here for more models. I cannot wait to see more coming soon of her fabulous collection! What do you think?